GitHub just added GitBook to their list of .gitignore templates. 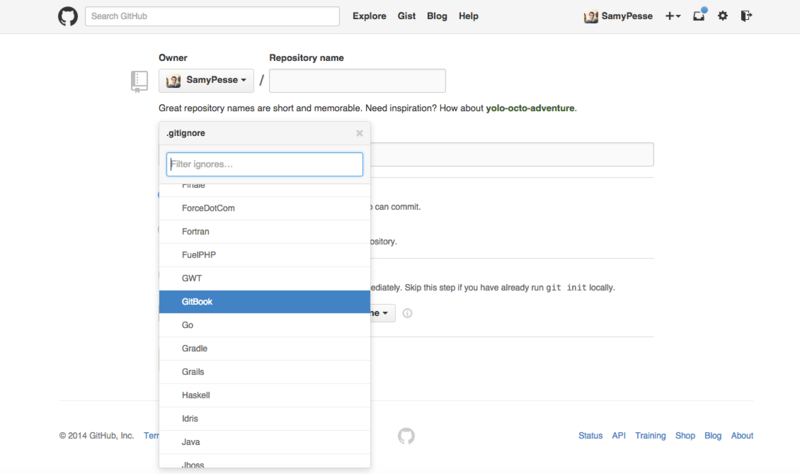 When creating a repository on GitHub, you can now select the GitBook template to make it faster and easier to set up your book repository. Hosting your book source on GitHub is a good way to make it easy for readers to contribute (issues, pull requests, etc.). From your book settings, you can link a GitHub repository to your book and add a webhook to build automatically when you’re pushing to GitHub.